New Phoenix, AZ based company has an immediate need for over the road cargo van driver. Now accepting applications for strong solo and team drivers. -At lease one year of experience in driving OTR expedited. -Applicants must be 25 years of age. -Accepting applicants within driving distance to Phoenix, AZ that can pass an initial phone interview. 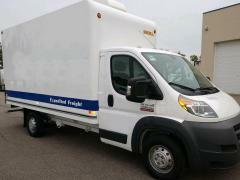 Then applicants may be asked to come to Phoenix for an in person interview and pick up the van. -Pay is a 60/40 split between company and driver. Driver getting 60% and covering fuel. Pilot/ Flying J fleet card provided. -All Maintenance, insurance and van costs are covered by company. -Each VAN will receive a minimum payment of $500 per week, when available for the entire week. 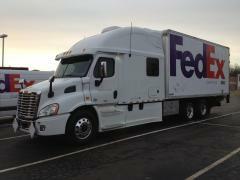 Driver responsible for on time pick up and delivery of time sensitive freight of all kinds to locations across the USA. Drivers are on the road for a minimum of 2 weeks at a time. Our team is well compensated by industry standards with possibility of advancement. If this opportunity is something you will be interested in. Please send an email to bcexdispatch@gmail.com. Please include name, phone number and a brief description of yourself and why you would be a good fit for this position. Hope to hear from you soon!